Here’s my second ‘Polish Us Pink’ mani. Don’t forget to join this event! Read all about it here: The Subtle Shimmer’s Polish Us Pink event. 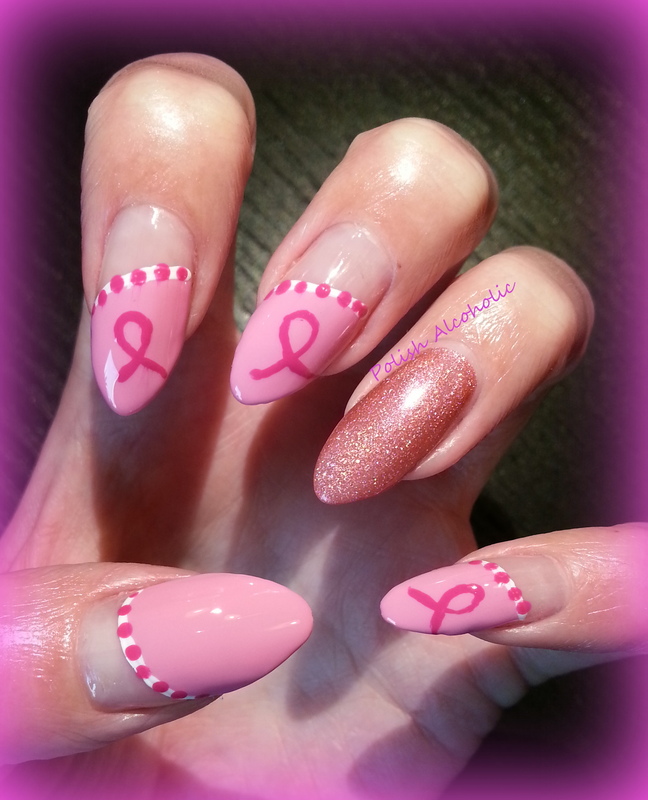 This entry was posted in Nail Art and tagged bca, breast cancer awareness, nail art, pink nail art, pink ribbon, wordpressbeauty by Polish Alcoholic. Bookmark the permalink.